Aggregate Greater Vancouver home price dropped in Q1 2017 for the first time since 2013, says Royal LePage House Price Survey Increases in Greater Vancouver home prices “slowed considerably in the first quarter of 2017 when compared to the historic highs witnessed a year ago,” according to the Q1 Royal Le Page House Price Survey released April 18. In fact, while home prices increased 10.1 per cent year over year, they declined 1.9 per cent from last quarter, marking the first quarterly drop since 2013. “Vancouver house prices are up compared to the first quarter of 2016, yet this doesn’t tell the complete story,” said Phil Soper, Royal LePage president, and CEO, noting sales activity was “down some 40 per cent compared to recent norms. “In the coming weeks, it is possible that six months of pent-up demand will be unleashed on the market, sending prices sharply upward again,” he said. While home sales transactions are also down from last year, the report notes that sales activity increased each month in the first quarter of 2017. Langley saw Greater Vancouver’s largest year-over-year increase in the aggregate home price, rising 21.2 per cent to $794,213. North Vanocuver had the region’s next-largest year-over-year aggregate home price increase, at 18.9 per cent. That brought the average North Van home cost to nearly $1.4 million “as inventory remained severely low and buyers clamored to be close to the downtown core,” according to the report. Across the country, most housing markets saw “modest gains,” according to the report. And while Vancouver’s home price appreciation slowed, Toronto’s took off. “For the first time in several years, real estate markets in Vancouver and Toronto are headed in opposite directions,” Soper said. Ontario contributed nearly half of the national aggregate home price increase in the first quarter of 2017, the report notes. “With its housing shortage becoming more acute, Toronto easily stepped forward to assume the title of Canada’s most overheated real estate market,” Soper said. 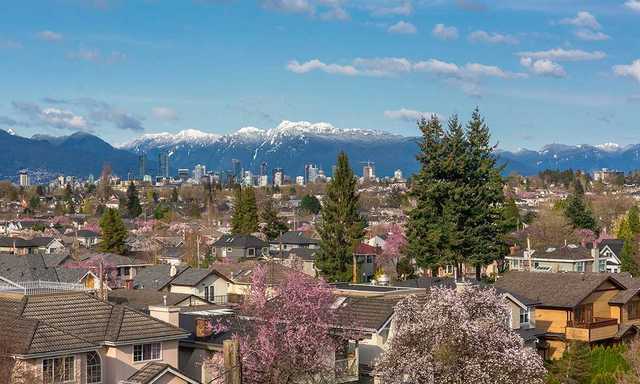 Overall, the report paints the national real estate market as healthy, but facing some risks from outside sources, with markets in Greater Vancouver and the Greater Toronto Area remaining potential areas of concern.